Arkade Group unveils Arkade Art, a new residential community in Mira Road And Beyond. The project offers smartly designed 1 BHK, 2 BHK, 2.5 BHK and 3 BHK apartments boasting the best of amenities. Arkade Art is spread across 3 acres and offers 490 units on sale. Mira-Bhayandar Municipal Corporation (MBMC) governs Mira Road, which is located to the north of Mumbai. Here are some reasons boosting realty growth in Mira Road. Good connectivity with localities like Thane and Navi Mumbai via Ghodhbunder Road, Mumbai Suburban Railway and Western Express Highway.  Availability of property at highly competitive rates, compared to its neighborhood areas. With the properties and capital values slipping off the hands of the home buyers of Mumbai, suburban areas of the city have definitely come to their rescue. If we talk about July - September 2015, the average property rates at Mira Road were Rs. 1785 per square foot, while in the April June 2015 quarter, values stood at Rs. 1700 per square foot. For the January March 2015 quarter, the locality witnessed capital values of Rs. 1657 per square foot. 1 BHK apartments 655 sq. ft.
2 BHK apartments 850 to 890 sq. ft.
3 BHK apartments 1060 to 1520 sq. ft.
1 BHK apartments at Arkade Art cost Rs. 48.14 lakh. 2 BHK apartments are priced at Rs. 65.42 lakh, while 3 BHK apartments are available between Rs. 74.11 - 78.45 lakh. What is the project location?The project is located at Mira Road, Mira Road And Beyond. What are sizes of apartments in Arkade Art? 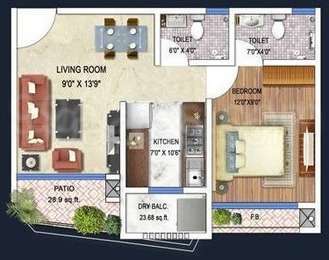 The apartment sizes in the project range from 32.0 sqft to 1000.0 sqft. What is size of 1 bhk in Arkade Art? The area of 1 BHK apartments ranges from 32.0 sqft to 435.0 sqft. What is size of 2 bhk in Arkade Art? The area of 2 BHK apartments ranges from 43.0 sqft to 753.0 sqft. How much is the actual area of Arkade Art?The area of the project is 3.0 Acres. 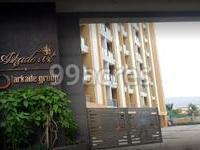 Arkade Group has metamorphosed into a leading real estate developer in Mumbai. The group has scaled the heights of Mumbai realty through sheer determination and dedication. As an entity that believes in moving ahead with the times, we ensure a constant upkeep of technological advances in the industry. With a flexible approach, we're better equipped to meet changing demands of the realty sector. once we consciously work towards performing to the best of our abilities, every day. Have got to know about these residential apartments on the east Mira Road. A 2bhk is for Rs 52 lacs and construction is going to get completed by 2016. Does anyone have an idea about the builder and its construction quality? I want to buy it for self-use! The builder has successfully delivered 9 residential projects in Mumbai. coming up with 8 residential projects and has announced the launch of four more. Arkade Art is selling at above Rs 6000 per sq ft and consist of four towers. The construction quality is good and the area - Mira Road is good for self use as well for investment.